The Finiti is more of a classic, larger size than the Motorola H17, but the sound quality is on par. It has good sound quality and uses the Crystal Talk technology, which has an additional microphone on the back of the earpiece to regular the sound and improve clarity from outside noises. In addition to the dual-mic technology of the Crystal Talk, there is a third microphone for stealth mode. Stealth mode allegedly uses the third mic to block out outside sounds even more. I didn’t notice a big difference in sound with the stealth mode on, but if it was better, why not have it on at all the time. I don’t know if it makes a difference in battery life, but since I predominantly use it in my car, it’s not a huge feature to me. The biggest problem to me is the comfort of the ear piece. The piece that holds the headset in the ear is a fairly hard piece of plastic that gets uncomfortable after prolonged usage. The H17’s soft rubber ear loop and lower weight makes it more comfortable than the Finiti, which I find highly preferable for long conversations. The Finiti also has voice recognition capabilities. While it was great to be able to answer a phone call by saying “answer” – or not answer by saying “ignore” – but I had a problem trying to use the voice dialing. I attempted a few times, but each and every time it called the wrong person. I’m not sure if I was doing it wrong, not annunciating right, or just was saying the wrong thing, but the manual is a little vague on how to use it. One more feature the Finiti touts is the ability to play music wirelessly from the phone. I tried this feature, expecting the worst, and it was as bad as I expected. Low quality, mono sound was fuzzy and staticy. It doesn’t matter that it can play music, no one would ever want to. 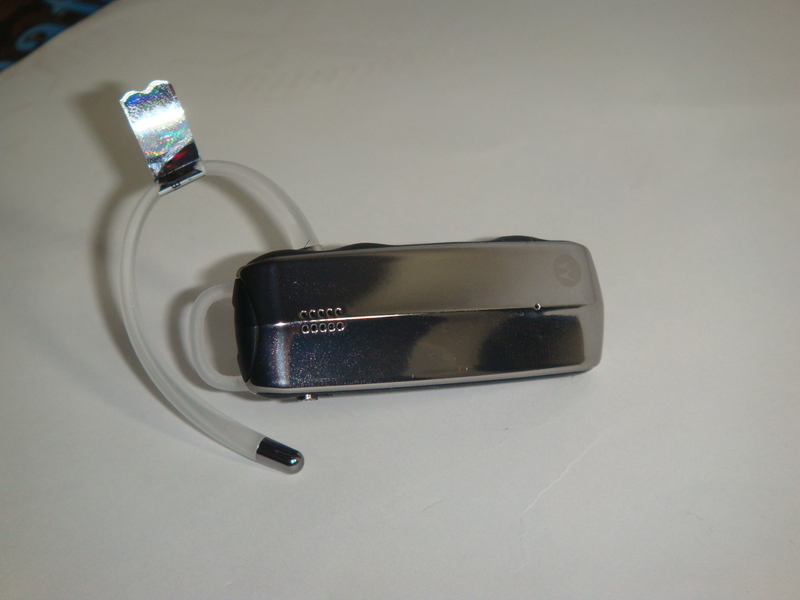 The Motorola Finiti is a good quality bluetooth headset and sounds great to use, but overall I prefer the H17 for its smaller size and more comfortable ear piece. The Finiti does have good sound, works well and is a good value. It should work well at cutting out sound is noisier environments with the stealth mode, which I didn’t have enough time to really work with.